From a very famous Chinese Ch'an master of the 20th century, and a major proponent of the Hua Tou method of self enquiry. Similar to Ramana Maharshi. The objective of Chan practice is to illuminate the mind by eradicating its impurities and seeing into one’s true self-nature. The mind’s impurities are wrong thoughts and attachments. Self nature is the wisdom and virtue of the Tathagata. The wisdom and virtue of Buddhas and sentient beings are not different from one another. To experience this wisdom and virtue, leave behind duality, discrimination, wrong thinking and attachment. This is Buddhahood. If one cannot do this, then one remains an ordinary sentient being. This expression is truly the prerequisite of Chan. If you cannot fulfil this requirement, then not only will you fail to attain the ultimate goal of Chan practice, but you will not even be able to enter the door of Chan. How can you talk of practicing Chan if you are entangled by worldly phenomena with thought after thought arising and passing away? “Put down all entangling conditions, let not one thought arise” is a prerequisite for the practice of Chan. Now that we know this, how do we accomplish it? The best practitioner, one of superior abilities, can stop all thoughts forever, arrive directly at the condition of non-arising, and instantly experience Bodhi. Such a person is not entangled by anything.The next best kind of practitioner uses principle to cut off phenomena and realises that self-nature is originally pure. Vexation and Bodhi, Samsara and Nirvana – all are false names which have nothing to do with one’s self-nature. All things are dreams and illusions, like bubbles or reflections. Within self-nature, my body, made up of the four great elements, as well as the mountains, rivers and great earth itself are like bubbles in the sea, arising and disappearing, yet never obstructing the original surface. Do not be captivated by the arising, abiding, changing and passing away of illusory phenomena, which give rise to pleasure and aversion, grasping and rejecting. Give up your whole body, as if you were dead, and the six sense organs, the six sense objects and six sense conciousnesses will naturally disperse. Greed, hatred, ignorance and love will be destroyed. All the sensations of pain, suffering and pleasure which attend the body – hunger, cold, satiation, warmth, glory, insult, birth and death, calamity, prosperity, good and bad luck, praise, blame, gain and loss, safety and danger – will no longer be your concern. Only this can be considered true renunciation – when you put everything down forever. This is what is meant by renouncing all phenomena. When all phenomena are renounced, wrong thoughts disappear, discrimination does not arise, and attachment is left behind. When thoughts no longer arise, the brightness of self-nature manifests itself completely. At this time you will have fulfilled the necessary conditions for Chan practice. Then, further hard work and sincere practice will enable you to illuminate the mind and see into your true nature. Many Chan practitioners ask questions about the Dharma. The Dharma that is spoken is not the true Dharma. As soon as you try to explain things, the true meaning is lost. When you realize that “one mind” is the Buddha, from that point on there is nothing more to do. Everything is already complete. All talk about practice or attainment is demonic deception. Bodhidharma’s “Direct pointing at the mind, seeing into one’s nature and attaining Buddhahood” clearly states that all sentient beings are Buddhas. Once pure self-nature is recognized, one can harmonize with the environment yet remain undefiled. The mind will remain unified throughout the day, whether walking, standing, sitting or lying down. This is to already be a Buddha. At this point there is no need to put forth effort and be diligent. Any action is superfluous. No need to bother with the slightest thought or word. Therefore, to become a Buddha is the easiest, most unobstructed task. Do it by yourself. Do not seek outside yourself for it. The vow to deliver all sentient beings, made by all the Buddhas, Bodhisattvas and patriarchs, is not a boast nor is it a baseless, empty vow. The Dharma is exactly that. It has been elucidated again and again by the Buddha and the patriarchs. They have exhorted us with the truth. They do not deceive us. Since the time when Buddha held up a flower and Bodhidharma came from the East, the methods for entry into this Dharma door have continually evolved. Most Chan practitioners, before the T’ang and Sung dynasties, became enlightened after hearing a word or half a sentence of the Dharma. The transmission from master to disciple was the sealing of Mind with Mind. There was no fixed Dharma. Everyday questions and answers untied the bonds. It was nothing more than prescribing the right medicine for the right illness. When one begins looking into a hua-t’ou, one must grasp it tightly, never letting go. It is like a mouse trying to chew its way out of a coffin. It concentrates on one point. The mouse doesn’t try different places and it doesn’t stop until it gets through. Thus, in terms of hua-t’ou, the objective is to use one thought to eradicate innumerable other thoughts. This method is a last resort, just as if someone had been pierced by a poison arrow, drastic measures must be taken to cure the patient. In fact, all hua-t’ous are the same. There is nothing uncommon, strange or special about them. If you wanted to, you could say: “Who is reciting the sutras?” “Who is reciting the mantras?” “Who is prostrating to the Buddha?” “Who is eating?” “Who is wearing these clothes?” “Who is walking?” “Who is sleeping?” They are all the same. The answer to the question “who” is derived from one’s Mind. Mind is the origin of all words. Thoughts come out of Mind; Mind is the origin of all thoughts. Innumerable Dharmas generate from the Mind; Mind is the origin of all Dharmas. In fact, hua-t’ou is a thought. Before a thought arises, that is Mind. Before a thought arises there is the origin of words. Hence, looking into a hua-t’ou is contemplating Mind. There was Mind before your parents gave birth to you, so looking into your original face before you were born is contemplating Mind. Self-nature is Mind. When one turns inward to hear one’s self-nature, one is turning inward to contemplate Mind. In the phrase, “Perfectly illuminating pure awareness,” pure awareness is Mind and illumination is contemplation. Mind is Buddha. When one recites Buddha’s name one contemplates Buddha. Contemplating Buddha is contemplating Mind. Investigating hua-t’ou or “looking into who is reciting Buddha’s name ” is contemplating Mind. Hence contemplating Mind is contemplating pure awareness. It is also illuminating the Buddha-nature within oneself. Mind is nature, pure awareness, Buddha. Mind has no form, no characters, no directions; it cannot be found in any particular place. It cannot be grasped. Originally, Mind is purity, universally embracing all Dharma realms. No in or out, no coming or going. Originally, Mind is pure Dharmakaya. When investigating hua-t’ou, the practitioner should first close down all six sense organs and seek where thoughts arise. Practitioners should concentrate on the hua-t’ou until they see the pure original mind which is apart from thoughts. If one does this without interruption, the mind becomes fine, quiet, tranquil, silently illuminating. At that moment the five skandas are empty, body and mind are extinguished, nothing remains. From that point, walking, standing, siting and lying down are all done motionlessly. In time the practice will deepen, and eventually practitioners will see their self-nature and become Buddhas and suffering will cease. A past patriarch named Kao-feng (1238-1295) once said: “You must contemplate hua-t’ou like a falling roof tile sinking endlessly down into a pond ten thousand feet deep. If in seven days you are not enlightened, I will give you permission to chop off my head.” These are the words of an experienced person. He did not speak lightly. His words are true. Although many modern day practitioners use hua-t’ou, few get enlightened. This is because compared to practitioners of the past, practitioners today have inferior karmic roots and less merit. Also, practitioners today are not clear about the purpose and path of hua-t’ou. Some practitioners search from east to west and from north to south until they die, but still do not penetrate even one hua-t’ou. They never understand or correctly approach the hua-t’ou. They only grasp the form and the words. They use their intellect and attach only to the tail of the words. Hua-t’ou is One Mind. This mind is not inside, outside or in the middle. On the other hand, it is inside, outside and in the middle. It is like the stillness of empty space prevailing everywhere. Hua-t’ou should not be picked up. Neither should it be pressed down. If you pick it up, your mind will waver and become unstable. If you press it down you will become drowsy. These approaches are contrary to the nature of the original mind and are not in accordance with the Middle Path. Practitioners are distressed by wandering thoughts. They think it is difficult to tame them. Don’t be afraid of wandering thoughts. Do not waste your energy trying to repress them. All you have to do is recognize them. Do not attach to any wandering thoughts, do not follow them, and do not try to get rid of them. As long as you don’t string thoughts together, wandering thoughts will depart by themselves. 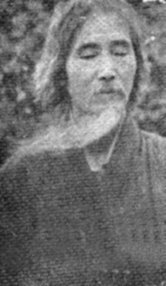 This is part two of a translation of a text by the great Chan master of the early part of the 20th century, Hsu Yun (1839-1 959). It is reprinted by permission of the Institute of Chung Hwa Buddhist Culture, New York, from Chan Newsletter 87, August 1991. The first part of this talk appeared in New Chan Forum No.4. Spring 1992. Our everyday activities are executed within the Path itself Is there anywhere that is not a place for practising the Path? A Chan Hall should not even be necessary. Furthermore, Chan practice is not just sitting meditation. The Chan Hall and Chan sitting meditation are for sentient beings with deep karmic obstructions and shallow wisdom. When you sit in the lotus position, you should sit naturally straight. Do not push the waist forward purposely. Doing so will raise your inner heat, which later on could result in having sand in the comer of your eyes, bad breath, uneasy breathing, loss of appetite, and in the worst case, vomiting blood. If dullness or sleepiness occur, open your eyes wide, straighten your back and gently move your buttocks from side to side. Dullness will naturally vanish. If you practice with an anxious attitude, you will have a sense of annoyance. At that time you should put everything down, including your efforts to practice. Rest for a few minutes. Gradually, after you recuperate, continue to practice. If you don’t do this, as time goes on you will develop a hot-tempered character, or, in the worst case, you could go insane or fall into demonic entanglements. How should one begin to practice? In the Surangama assembly, Kaundinya the Honoured One mentioned the two words “guest” and “dust”. This is where beginners should begin their practice. He said, “A traveller who stops at an inn may stay overnight or get something to eat. When he is finished or rested, he packs and continues his journey, for he does not have time to stay longer. If he were the host, he would have no place to go. Thus I reason: he who does not stay is called a guest because not staying is the essence of being a guest. He who stays is called a host. Again, on a clear day, when the sun rises and the sunlight enters a dark room through an opening, one can see dust in empty space. The dust is moving but the space is still. That which is clear and still is called space; that which is moving is called dust because moving is the essence of being dust.” Guest and dust refer to illusory thoughts, whereas host and space refer to self-nature. That the permanent host does not follow the guest in his comings and goings illustrates that permanent self-nature does not follow illusory thoughts in their fleeting rise and fall. Therefore it was said, “If one is unaffected by all things, then there will be no obstructions even when one is constantly surrounded by things.” The moving dust does not block the clear, still empty space; illusory thoughts which rise and fall by themselves do not hinder the self-nature of Suchness. Thus it was said, “If my mind does not arise, all things are blameless.” In such a state of mind, even the guest does not drift with illusory thoughts. If he understands space and dust, illusory thoughts will no longer be hindrances. It is said that when one recognizes an enemy, there will be no more enemy in your mind. if one can investigate and understand all this before starting to practice, it is unlikely that one will make serious mistakes. The ancient patriarchs pointed directly at Mind. When one sees self-nature, one attains Buddhahood. This was the case when Bodhidharma helped his disciple to calm his mind and when the Sixth Patriarch spoke only about seeing self-nature. All that was necessary was the direct understanding and acceptance of Mind and nothing else. There was no such thing as investigating hua-t’ou. More recent patriarchs, however, saw that practitioners could not throw themselves into practice with total dedication and could not instantaneously see their self-nature. Instead, these people played games and imitated words of wisdom, showing off other people’s treasure and patriarchs were compelled to set up schools and devise specific ways to help practitioners, hence the method of investigating hua-t’ou. There are many hua-t’ous, such as “All dharmas return to one, where does this one return to?” “What was my original face before I was born?” and so on. The most common one, however, is “Who is reciting the Buddha’s name?”. What is meant by hua-t’ou? Hua means the spoken word; t’ou means the head or beginning, so hua-t’ou means that which is before the spoken word. For example, reciting Amitabha Buddha is a hua, and hua-t’ou is that which precedes one’s reciting the Buddha’s name. The hua-t’ou is that moment before the thought arises. Once the thought arises, it is already the tail of the hua. The moment before that thought has arisen is called non-arising. When one’s mind is not distracted, is not dull, is not attached to quiescence, or has not fallen into a state of nothingness, it is called non-perishing. Singlemindedly and uninterruptedly, turning inward and illuminating the state of non-arising and non-perishing is called investigating the hua-t’ou or taking care of the hua-t’ou. To investigate the hua-t’ou, one must first generate doubt. Doubt is like a walking cane for the method of investigating hua-t’ou. What is meant by doubt? For example, one may ask, “Who is reciting the Buddha’s name?” Everyone knows that it is he himself who is reciting the name, but is he using his mouth or mind? If it is his mouth, then after the person dies and the mouth still exists, how come the dead person is unable to recite Buddha’s name? If it is the mind, then what is the mind like? It cannot be known. Thus there is something one does not understand, and this gives rise to a slight doubt regarding the question of “who”. In the hua-t’ou, “Who is reciting the Buddha’s name?” The emphasis should be on the word “who”. The other words serve to provide a general idea, just like in asking, “Who is dressing?”, “Who is eating?”, “Who is moving their bowels?”, ”Who is urinating?”, ”Who is ignorantly fighting for an ego?”, ”Who is being aware?”. Regardless of whether one is walking, standing, sitting or reclining, the word “who” is direct and immediate. Not having to rely on repetitive thinking, conjecture, or attention, it is easy to give rise to a sense of doubt. 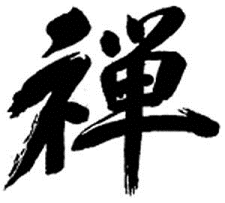 Hence, hua-t’ou’s involving the word “who” are wonderful methods for practising Chan. But the idea is not to repeat, “Who is reciting Buddha’s name?” like one might repeat the Buddha’s name itself; nor is it right to use reasoning to come up with an answer to the question, thinking that this is what is meant by having doubt. There are people who uninterruptedly repeat the phrase, “Who is reciting the Buddha’s name?” They would accumulate more merit and virtue if they repeatedly recited Amitabha Buddha’s name instead. There are others who let their minds wander, thinking that is the meaning of having doubt, and they end up more involved in illusory thoughts. This is like trying to ascend but descending instead. Be aware of this. The doubt that is generated by a beginning practitioner tends to be coarse, intermittent and irregular. This does not truly qualify as a state of doubt. It can only be called thoughts. Gradually, after the wild thoughts settle and one has more control, the process can be called “ts’an” (ts’an means to investigate or look into). As one’s cultivation gets smoother, the doubt naturally arises without one’s actively inducing it to. At this point one is not aware of where one is sitting. One is not aware of the existence of a body or mind or environment. Only the doubt is there. This is a true state of doubt. At this moment it is clear and pure and there is an unlimited sense of lightness and peace. However, if one fails to fully maintain one’s awareness and illumination (awareness is wisdom, not delusion; illumination is samadhi, not disorder), one will fall into a light state of mental dullness. If there is an open-eyed person around, he will be able to tell right away that the practitioner is in this mental state and hit him with the incense stick, dispersing all clouds and fog. Many people become enlightened this way. At this moment it is clear and pure, empty and vacuous. If it isn’t, then the doubt is lost. Then it is “no content”, meaning one is not making an effort to practice any more. This is what is meant by “the cliff with dry wood” or “the rock soaking in cold water”. In this situation the practitioner has to “bring up”. “Bring up” means to develop awareness and illumination. It is different from earlier times when the doubt was coarse. Now it has to be fine – one thought, uninterrupted and extremely subtle. With utter clarity, it is illuminating and quiescent, unmoving yet fully aware. Like the smoke from a fire that is about to go out, it is a narrow stream without interruption. When one’s practice reaches this point, it is necessary to have a diamond eye in the sense that one should not try to “bring up” any more. To “bring up” at this point would be like putting a head on top of one’s head. Once a monk, asked Chan master Chao-chou, “What should one do when not one thing comes?” Chao-chou replied, “Put it down”. The monk, asked, “If not one thing comes, what does one put down?” Chao-chou replied, “If it cannot be put down, take it up”. This dialogue refers precisely to this kind of situation. The true flavour of this state cannot be described. Like someone drinking water, only he knows how cool or warm it is. If a person reaches this state, he will naturally understand. If he is not at this state, no explanation will be adequate. To a sword master you should offer a sword; do not bother showing your poetry to someone who is not a poet. Someone might ask, “How is Bodhisattva Avalokitesvara’s method of turning inward to hear self-nature considered investigating Chan?”. I have previously explained that taking care of hua-t’ou is being, moment after moment, with only one thought, singlemindedly shining the light inward on “that which is not born and not destroyed”. Inward illumination is reflection. Self-nature is that which is not born and not destroyed. When “hearing” and “illuminating” follow sound and form in the worldly stream, hearing does not go beyond sound and seeing does not go beyond form. However, when one turns inward and contemplates self-nature against the worldly steam, and does not pursue sound and form, then he becomes pure and transparent. At that time, “hearing” and “illuminating” are not two different things. Thus we should know that taking care of the hua-t’ou and turning inward to hear self-nature does not mean using our eyes to see and our ears to hear. If we use our ears to hear or our eyes to see, then we are chasing sound and form. As a result we will be affected by them. This is called submission to the worldly stream. If one practices with one thought only, singlemindedly abiding in that which is not born and not destroyed, not chasing after sound and form, with no wandering thoughts, then one is going against the stream. This is also called taking care of the hua-t’ou or turning inward to hear one’s self-nature. This is not to say you should close your eyes tightly or cover your ears. Just do not generate a mind of seeking after sound and form. In Chan training the most important thing is to have an earnestness to leave birth and death and to generate a persevering mind. If there is no earnestness to leave birth and death, then one cannot generate the “great doubt” and practice will not be effective. if there is no perseverance in one’s mind, the result will be laziness, like a man who practices for one day and rests for ten. The practice will be incomplete and fragmented. Just develop a persevering mind and when great doubt arises, vexations will come to an end by themselves. When the time comes, the melon will naturally depart from the vine. I will tell you a story. During the Ch’ing dynasty in the year of K’eng Tse (1900) when the eight world powers sent their armies to Peking, the Emperor Kuang-hsu fled westward from Peking to Shen Hsi province. Everyday he walked tens of miles. For several days he had no food to eat. On the road, a peasant offered him sweet potato stems. After he had eaten them, he asked the peasant what they were because they tasted so good. Think about the Emperor’s usual awe-inspiring demeanour and his arrogance! How long do you think he could continue to maintain his imperial attitude after so long a journey on foot? Do you think he had ever gone hungry? Do you think he ever had to eat sweet potato stems? At that time he gave up all of his airs. After all, he had walked quite a distance and had eaten stems to keep from starving. Why was he able to put down everything at that time? Because the allied armies wanted his life and his only thought was to save himself But when peace prevailed and he returned to Peking, once again he became proud and arrogant. He didn’t have to run any more. He no longer had to eat any food that might displease him. Why was he unable to put down everything at that time? Because the allied armies no longer wanted his life. If the Emperor always had an attitude of running for his life and if he could turn such an attitude toward the path of practice, there would be nothing he could not accomplish. It’s a pity he did not have a persevering mind. When favourable circumstances returned, so did his former habits. Fellow practitioners! Time is passing, never to return. It is constantly looking for our lives. It is more frightening than the allied armies. Time will never compromise or make peace with us. Let us generate a mind of perseverance immediately in order to escape from birth and death! Master Kao-fung (1238-1295) once said, “Concerning the practice, one should act like a stone dropping into the deepest part of the pool – ten thousand feet deep – continuously and persistently dropping without interruption toward the bottom. If one can practice like this without stopping, continuously for seven days, and still be unable to cut off one’s wandering, illusory thoughts and vexations, I, Kao-fung, will have my tongue pulled out for cows to plough on forever”. He continued by saying, “When one practices Chan, one should set out a certain time for success, like a man who has fallen into a pit a thousand feet deep. All his tens of thousands of thoughts are reduced to one – escape from the pit. If one can really practice from morning to dusk and from night to day without a second thought, and if he does not attain complete enlightenment within three, five or seven days, I shall be committing a great lie for which I shall have my tongue pulled out for cows to plough on forever”. This old master had great compassion.